For most, fond memories race through our minds while our faces flush with the thrill of excitement gone by. I have a unique relationship with the circus - I have always been intrigued by the mystery and wonder of it, while equally terrified of the larger-than-life entertainers. 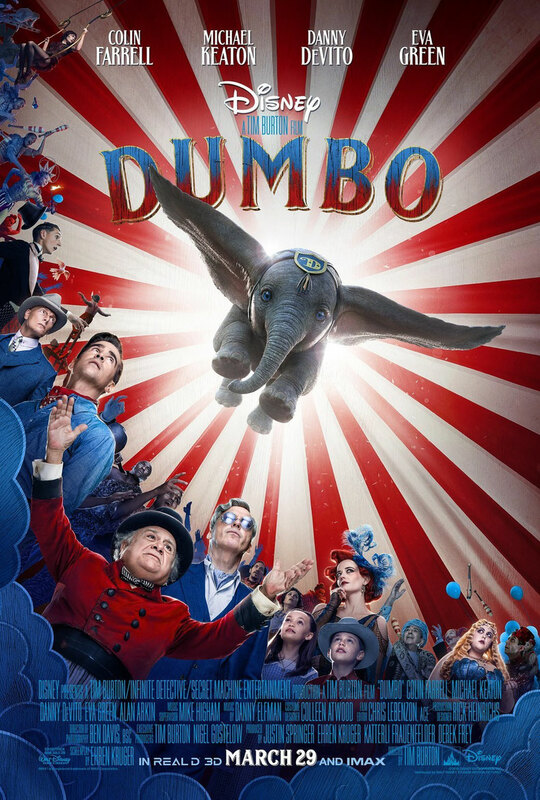 I missed the opportunity to attend the screening of the movie, but I wanted to take a moment and bend your ear about what I'd do if I ever joined the circus (every kid's dream right?). I'm not the type to be in the center ring with the spotlight illuminating my talent, I'm more of a backstage manager, making sure the acts are on time and the performers have everything they need. A cheerleader that encourages them to go out there and "break a leg" and leave the attendees breathless. Much like Dumbo, I would be a caretaker of sorts, hanging back in the shadows - not realizing how that one thing I was insecure about was actually the key that would unlock my wildest dreams and unleash my full potential. Aren't we all like that in some way? Maybe some can't relate and that's totally okay. I've come across quite a few people who have goldmines of purpose, talent, and calling hidden under layers of vulnerability, fear, and shame. Would that we all could just as easily as Dumbo, spread our "wings" and soar at just the right time. I hope that you would look beyond what seems to be a stumbling block, and view it as it truly is...your platform. After all, you were created for this, were you not? Many thanks to the folks at Grace Hill Media for the opportunity to share great entertainment with you!